If you are like the reported 45 percent of Americans, you have started 2017 with a list of resolutions, goals, and aspirations that you plan on achieving before the ball drops on January 31, 2018. Perhaps you share the number one New Year’s resolution here in the United States – to lose weight. Or, maybe you are perfectly happy with your physical appearance, and are focusing 2017 on making healthier financial decisions. Other popular New Year’s resolutions this year are to get organized, get healthy, quit smoking, and fall in love – just to name a few. As many people as there are here in the U.S., so are there different resolution possibilities. It doesn’t matter which one you have chosen to pursue in the coming year, so long as you stick to it and see it through. And if you are successful in sticking to your goals this year? You will be part of an estimated 8-percent of Americans who do. Eight percent. While the odds aren’t great that you will succeed, chances are the process will help you become a better overall version of yourself. If you plan to save up and buy a car as part of your 2017 New Year’s resolution list, there are definite ways to set yourself up for success. Just as there are steps to take to ensure success in all other resolutions, so are there steps for having a positive buying experience at car dealerships. Rather than join the ranks of the 92 percent of people who fail to reach their goals, be determined to be among the elite 8 percent of those who succeed. Out of every other buying process here in the United States, more shoppers feel uneasy during a new car transaction than anything else. While part of this stems from the bad reputation car dealers have gotten over the years, it also has a lot to do with a lack of confidence from the buyer. Car shoppers feel that there are too many possible variables during a new car purchase, which makes them second guess themselves, and ultimately their decision. To help return car shopping back to a time when it was fun and an experience that buyers looked forward to, check out some tips on how to maximize the time you spend at a dealership. If you follow these small tidbits of advice, you will be well on your way to succeeding in all of your 2017 ambitions. Know What You Want: If you are heading into a dealership to buy a brand new car, know what type of vehicle you want, or at least have a general idea. Indecisive shoppers are an easy target for shady salesmen. Just as the predator can recognize weakness in its prey, so can a salesman perceive your indecisiveness and take advantage of you for it. Bottom line here is know what you want, and be firm in your resolve. Know How Much You Can Spend: Notice that this doesn’t say “know how much you want to spend.” How much you can spend and how much you want to spend are two entirely different things, and the moment you confuse the two is the moment you will lose hold of your car buying experience. Set a strict budget for yourself, and stick to it. Understand how much money you can put toward a monthly car payment, and aim slightly lower for your actual payment amount. Also remember to factor in a down payment, which should be as close to twenty percent as possible. Know Where to Go: Just as important as setting a budget and knowing the type of car you want, is knowing where to go to buy it. If you want to find a great new Chevy truck for sale, it is obvious that you will need to go to a Chevrolet dealership. Before you pick the first one you pass on your way into the office, do a little research. Talk to friends, read online reviews from DealerRater, and even stop by a few locations to get a feel for how they do business. If you find a high rated location that comes recommended and also makes you feel good, then you will likely have a good experience buying a new car. 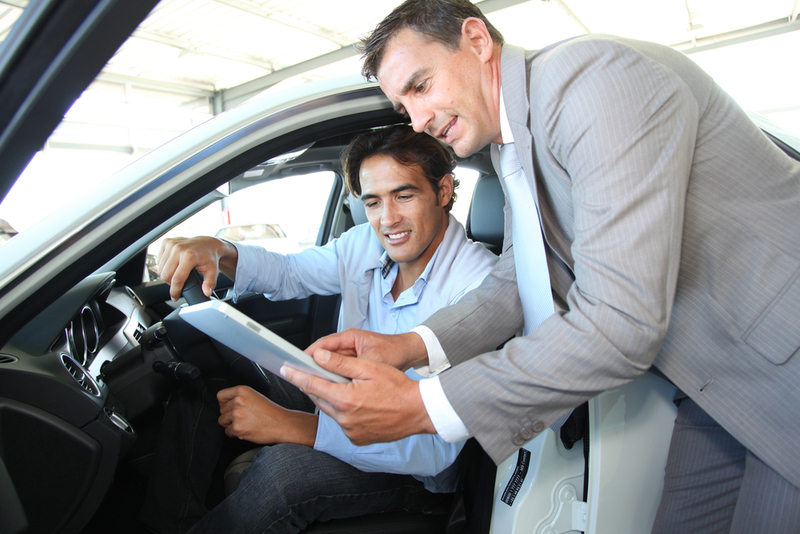 If you choose a dealership at random; however, your chances of losing out are greatly increased. Know Who to Bring: Buying a new car is a big deal, and it always helps to bring someone along as a second pair of eyes and ears. If you aren’t in a committed adult relationship, then ask a close friend or family member to accompany you to the dealership. Having a person whom you trust can be the best way to protect yourself from making a decision in haste, as well as lessen the likelihood of getting taken advantage of by a salesperson. Know How Much Time it Will Take: Generally, you can expect to spend anywhere from two hours to eight hours at a car dealership when you purchase a new vehicle. If you already know the make and model that you want, and know that the dealership has it in stock, you will likely be closer to the two-hour mark, than the eight. If you are going into the dealership without a clear idea of what your new car will be, you should plan on a longer day. Every car shopping experience is different, but it helps to prepare yourself ahead of time and plan on spending more time, than less. If you enter into a car buying situation in a hurry, a salesman can easily recognize this, and might use it to his advantage to score a higher commission. Your new car transaction is a major one that requires you carve major time out of your schedule. If you do it right, you will be happier with the end results. Don’t settle! A good car dealership and salesman won’t allow you to leave the lot with a car you are unhappy with, or paying a price that is outside of your comfort zone. Here at DePaula Chevrolet, for example, the sales team is dedicated to working with you, to help you meet all of your new car buying goals. Finding a good dealership can make all the difference, so be sure to check out DePaula Chevrolet for a truly different car shopping experience.